Audiolab’s range of award-winning DACs, condensed into a slim, battery supported design you can take with you almost anywhere. 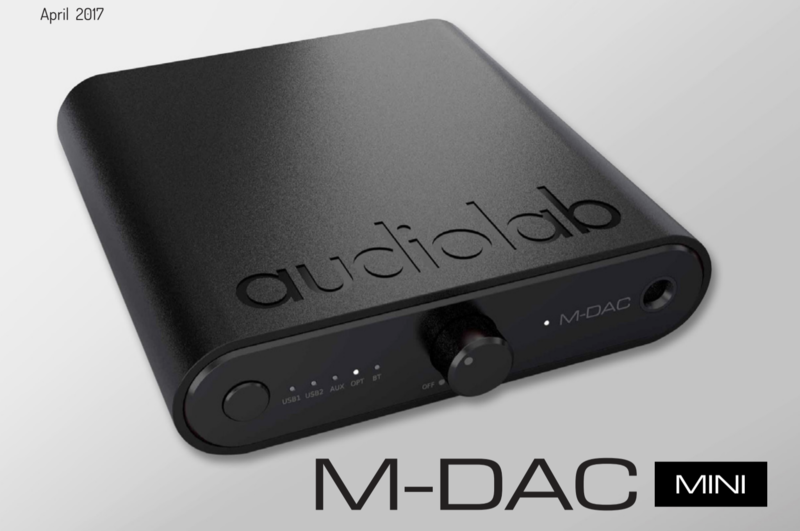 Following on from Audiolabs’s success with the M-DAC and M-DAC+ Audiolab have created the M-DAC mini. 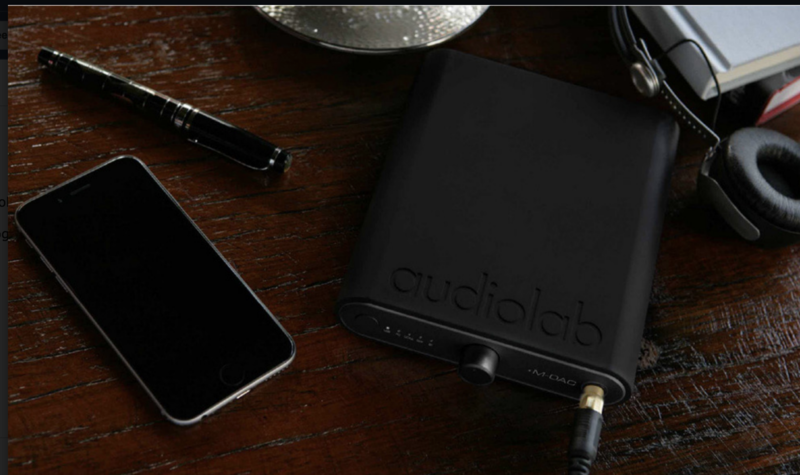 devices including Android, iOS, PC, MAC – and with the inclusion of Bluetooth aptX wireless streaming, experiencing Audiolab’s energetic sound has never been easier. It’s analogue and digital connections including a high powered 6.3mm headphone jack complete the package of a DAC that is big in features, with a mini exterior. M-DAC mini’s advanced circuitryis housed within a injection moulded polypropylene casing with a machined aluminium front plate and controls. boost their audio power and resolution. The M-DAC mini will offer a leading feature set vs price, compared to the competition. 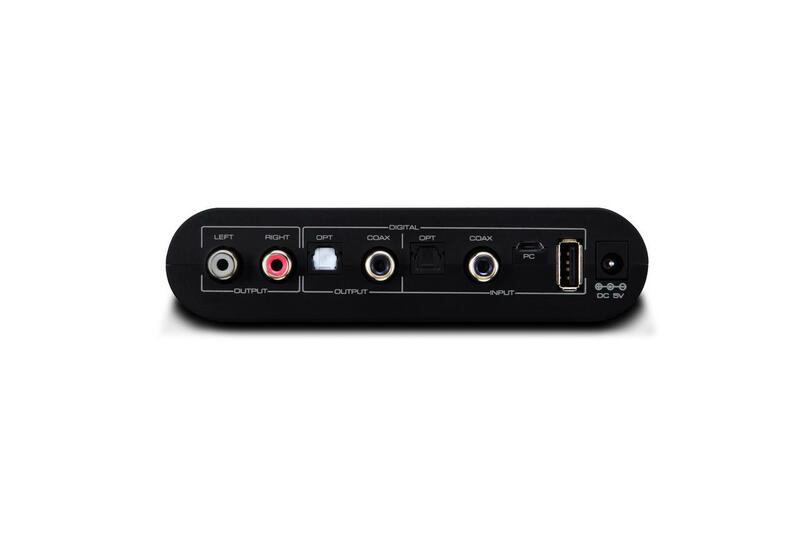 Aside from its USB connections for computers, tablets and phones, M-DAC mini has RCA analogue outputs, and Digital Coax / Optical inputs and outputs. This means the M-DAC mini is easily paired into fully fledged home audio systems, with its advanced circuitry it will even outperform larger, full-width DACs. It’s also great for those who want a space saving way of adding digital connections to their existing active speakers or audio separates. Audiolab engineers have added wireless streaming with a Bluetooth connection utilising the aptX protocol for ultra-fast, high quality playback. This offers utmost convenience, especially in headphone applications, freeing up trailing wires in between laptops and phones, for an uncluttered desk space. When being integrated into home audio systems, users can select music via Spotify, Apple Music or one of the numerous audio apps controlled by their device, without leaving the sofa.